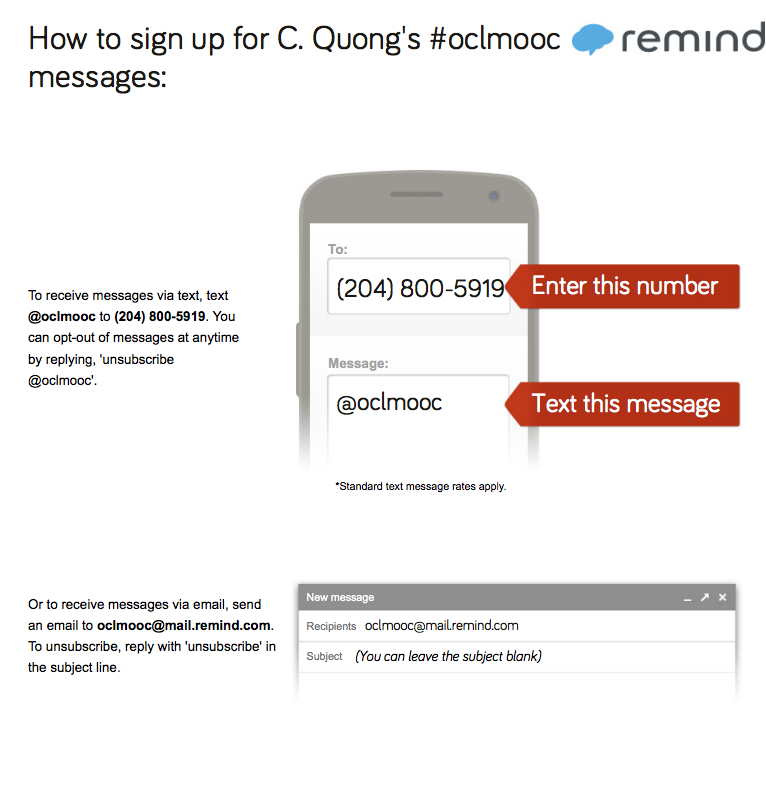 One of our co-conspirators, Christine Quong has set up a Remind.com class for #oclmooc, it can send you reminders when #oclmooc events are coming up. Lots of teachers use Remind.com to send reminders to their students and parents. This is a great opportunity to check out how it works if you’ve never used it before.